What can you do with cryptocurrency? There are massive online market places where you can buy and sell coins, there are online and offline places where you can store what you have, and there are methods of acquiring currency through time and effort, namely mining and using faucets. These are all fairly well known activities, yet the cryptosphere is always expanding and as it expands so does the realm of possibilities for those looking to make profits in the market. 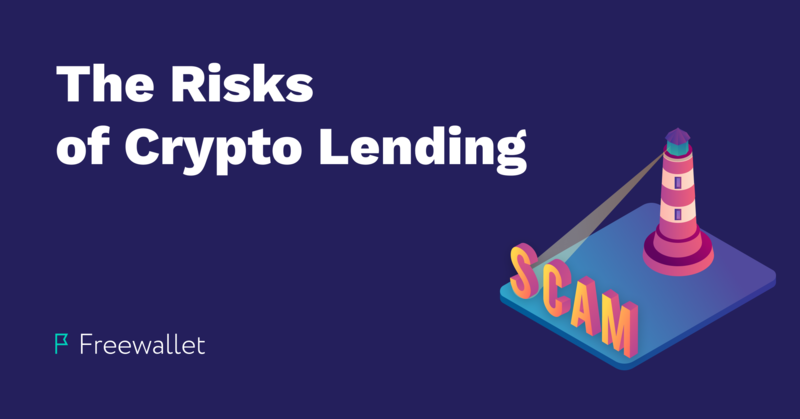 Among the more recent developments in digital finance is the plethora of platforms offering lending services, in which they pay a certain percentage to their customers of the amount lent them. In theory, when you use these services you put your money to work for you. There are holding companies online that offer to pay customers a fixed percentage of the currency lent to them. For example, gorgona.io offers to pay users 3% interest on the amount users lend them every day. The service uses smart contract technology and guarantees the financial safety of its investors. However, like all things that sound too good to be true, there is a big downside to this platform and to this type of activity in general. On the Gorgona website it is clear that the funds that will be used to pay out interest to investors will be gathered from future investors. In short, Gorgona is a basic pyramid scheme where the financial returns of investors rely on incorporating more and more “clients” into their project. Furthermore, if you decide to take the risks associated with these kinds of services, you may face additional problems when trying to withdraw your funds into different accounts. Freewallet uses the most comprehensive security measures available to protect customers’ safety, these include verifying authorization for senders and receivers. When you lend your money to gorgona.io and other companies like them, they send you back the accrued interest to your Freewallet technical payout address. This kind of address is meant for outgoing transactions, not incoming transactions. As a result, our financial and support teams have to troubleshoot the situation and determine to whom the money truly belongs. This will require us to gather additional information from our customers and can take several days or even weeks to solve. We cannot provide a refund until we get the necessary information. To sum up, please be careful. Note that you can’t use a payout address for incoming transactions. Even gorgona.io warns customers about this, see the screenshot. Never send ETH from stock exchange (and hosted wallets)!